Yes, “Vaser” (in Romanian language) or “Wasser” (in German) is the　ame of the river we all know. Also in English it is Vaser, although the correct form would be “Water” Valley. line from Turda to Abrud is well known as the line from Aries Valley (Aries is the river from that valley). So for regular people was easier to locate the line by the river valley name. 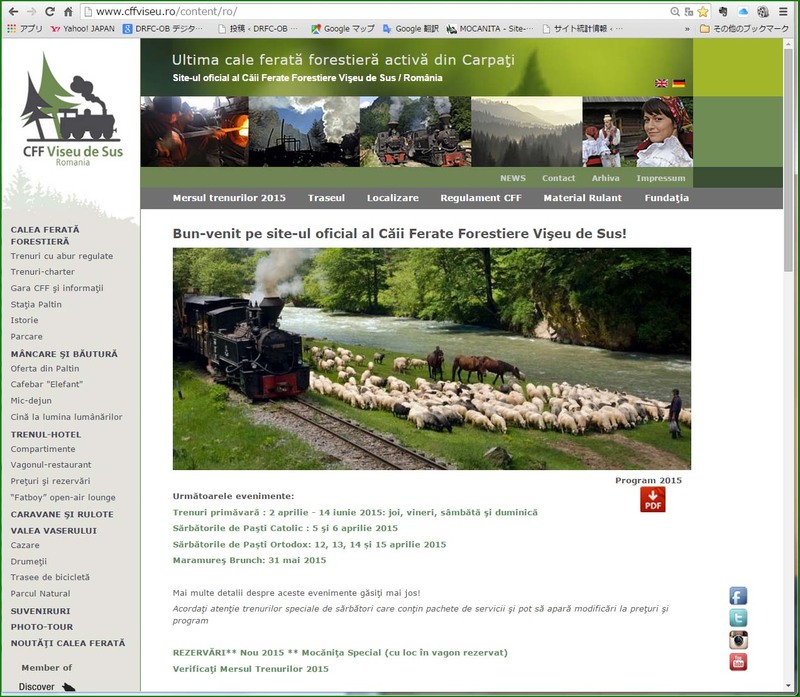 CFF means “Cale Ferata Forestiera” (Forestry Railroad – 760 mm gauge most of the time, only some very old were 600 mm) in Romanian language. All forestry line in Romania were CFF. Examples are CFF Moldovita, CFF Covasna, CFF Comandau, or in the past: CFF Roznov, CFF Scutaru, CFF Tazlau etc. All these names comes originally from the river name where they were working. Somehow yes, CFF Viseu de Sus is the official name but from the time when Romania had a lot of lines like this. First of all we use more the expression “Vaser valley railway” because it is shorter and this is how it is more on leaflets and advertising materials. Personally I use “Vaser valley narrow gauge railway” or “Vaser valley forestry railway” on blog, facebook etc. because there are a lot of people that will think about a normal railway in a park. Regarding your last question I have to correct your friend because we really use the word like it sounds in German language. For example it is like “Calea ferata de pe Vaser” (Vaser railway). We use this because “Vaser” is unarticulated. “Vaseru” is somehow articulated, less used. The correct articulated word it is: “Vaserul” where “ul” is the correct articulation for Vaser.